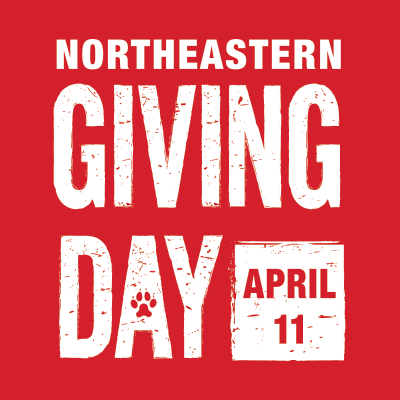 “Authorized Users” means only the employees, faculty, staff, students and alumni officially affiliated with Northeastern University at the Authorized Site(s), Walk-In Users and persons with legal access to the library’s collections and facilities via its secure network. “Walk-In Users” are persons who are allowed by the Institution to access its information services from computer terminals or otherwise within the physical premises of the Institution. For the avoidance of doubt, Walk-In Users may be given means to access the Licensed Material by a wireless secure network on the University Premises. Walk-In Users are not allowed off-site access to the Licensed Material and are not allowed access by any wireless network unless it is secure. Authorized Users shall be restricted to all those persons mentioned above who are: (i) based permanently within the country where the Authorized Site is located; or (ii) affiliated with remote sites or campuses of Northeastern within the country where the Northeastern University is located; and/or (iii) affiliated with Northeastern who are studying overseas at sites or campuses of a third party institution on a temporary basis. · Authorized Users may download and save, solely for their private use or research. Authorized Users may only access the IET.tv Library in a way that conforms to all applicable laws and regulations. · The IET grants the Licensee and Authorized Users permission for brief extracts from the content of the IET.tv Library with the customary acknowledgment of the source, and to copy and transmit content from the IET.tv Library in “person-to-person” and non-systematic scholarly exchanges of information between Authorized Users and specific individuals. · Authorized Users may provide links to content within Course Management Software (e.g. Blackboard) whereby content may only be accessed by current, registered class participants. · Nothing in this Agreement shall restrict the Fair Use rights of the Licensee under U.S. Copyright Laws. · systematically or programmatically download (e.g., the use of automated ‘robots’ or otherwise) or attempt to download under any circumstances large amounts of Licensed Materials from the IET.tv Library, such as entire videos and associated materials. · reverse engineer, decompile, alter, abridge or otherwise modify the Licensed Materials or any part of them for any purpose whatsoever, except as expressly provided above. · publish, distribute or make available the IET.tv Library, works based on the IET.tv Library or works which combine them with any other material, other than as permitted above. · alter, abridge, adapt or modify the IET.tv Library, except to the extent necessary to make them perceptible on a computer screen to Authorized Users. For the avoidance of doubt, no alteration of the videos or their running order is permitted. The IET is the owner of all Intellectual Property Rights in the IET.tv website including the copyright, trade marks, design rights, patents and other intellectual property rights (whether registered or unregistered) in the IET.tv Library. All such rights are reserved. Find videos, CDs and streaming media. Download library e-books to Kindle, Nook, iPad, more. Get help with analyzing and visualizing data.